2. Place cookies in a food processor; process until finely ground crumbs measure about 1 cup. Add oil; pulse to combine. Coat a 12-cup muffin tin well with cooking spray. Spoon about 1 packed tablespoon crumb mixture into each muffin cup; press crumbs firmly into bottom. Bake at 300° for 7 minutes or until lightly browned. Remove from oven; cool. 3. Wipe food processor clean. Place brown sugar, yogurt, and cream cheese in processor; process until smooth. Add vanilla, table salt, and eggs; process until smooth. Spoon about 3 tablespoons batter into each muffin cup. 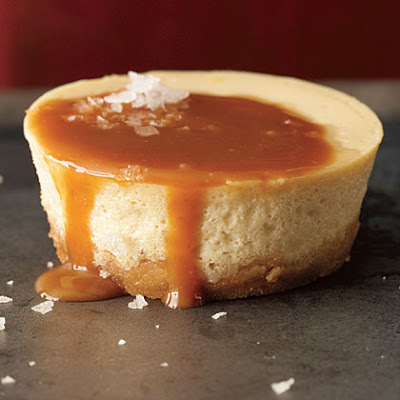 Bake at 300° for 18 minutes or until centers of cheesecakes barely move when pan is touched. Remove pan from oven; cool on a wire rack to room temperature. Cover pan; refrigerate cheesecakes 3 hours or until well chilled.